Brilliant Squissors with a curved blade for fast and accurate thread trimming. 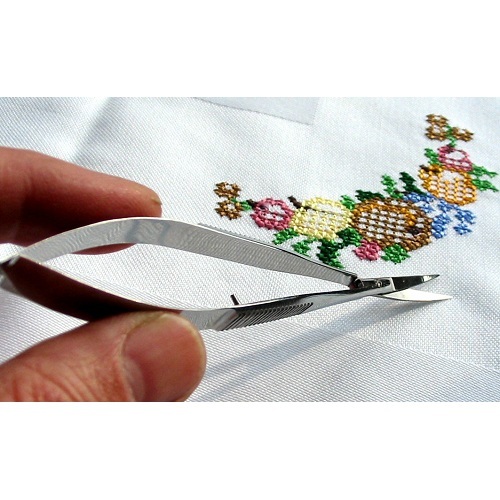 Just pick them up, squeeze and place down again, no need to slide your fingers into a pair of cumbersome embroidery scissors. 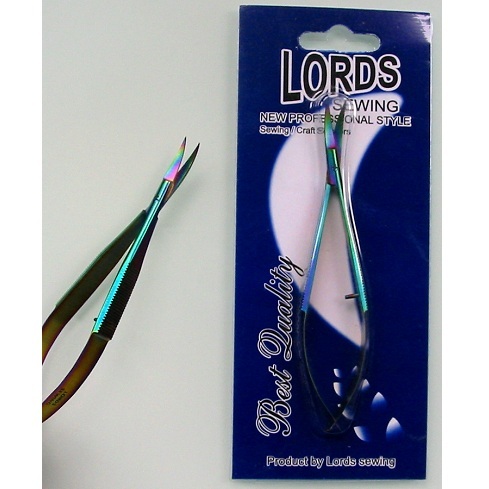 Each tool is made from the finest quality steel for Lords Sewing and this version has a titanium coating for longer life at a fantastic price. We also have fun and fashionable pink coated squissors and plain steel squissors.